We are pleased to present our 3rd Annual report as a digital publication. In FY2017-2018’s Annual Report we have highlighted the initiatives that have been instrumental in strengthening the positive perception of Social Enterprises. Browse through our microsite to find out more about our work in the past year. 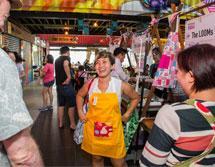 What is a Social Enterprise? 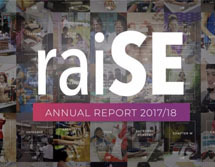 Raise defines Social Enterprises (SEs) as business entities set up with clear social goals; and where there is clear management intent and resources allocated to fulfil their social objectives. raiSE hopes to seed and nurture the larger community of social enterprises and aspiring social entrepreneurs through our various initiatives to help build a strong and vibrant social enterprise sector. 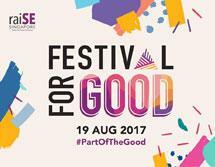 Check out highlights from FestivalForGood 2017! Wondering how you can contribute? Whether it is purchasing from Social Enterprises, attending an event to find out more about what social enterprises can offer or even working with one, there are many meaningful ways to suit your level of comfort. Looking for more insights or useful guides? Need help measuring your social impact or curious to know more about developments in the sector? Check in here regularly for all the latest updates! VentureForGood (Youth) is an initiative set up to provide funding support of up to S$20,000 to youths in developing and implementing their social enterprise ventures that address an apparent social need in Singapore. 1.What is VentureForGood (Youth)’s grant quantum? VFG Youth provides up to 80% of the total projected capital expenditure and first year operating expenditure, capped at $20,000. 2.How are the funds disbursed? Funds are disbursed as reimbursements in tranches, released upon meeting of pre-determined key milestones. Supporting documentation as evidence of having met milestones, and evidence of expenditure of released funds must be submitted before the next tranche is disbursed. 3.Who do we consider as beneficiaries? 4.What do we look for in applications? 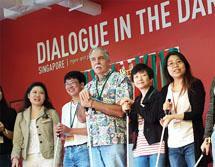 Clear engagement model to sustain social objectives that addresses a gap/need in Singapore. Prior engagements with validation from VWOs, sector experts and intended beneficiary groups are encouraged. Proposed interventions or social objectives should preferably be validated with a pilot/proof of concept. Strong business model and feasible operations plan. 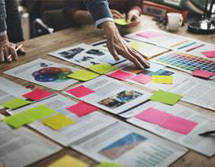 Proposal should include information such as potential size, market survey, product differentiation, product pricing, potential competitors and strategies to sustain the business. Reasonable organisational capabilities and capacity to carry out its plans to achieve sustainability and growth. Management and implementation team should demonstrate commitment and ability to execute proposal. Members of the team should possess relevant experience and expertise in the market/ industry that the social enterprise operates in. The team should also preferably possess some experience in working on the social need. Management and implementation team possesses a mind-set geared towards results, accountability, sound business principles and a clear understanding of the social need. How are the funds disbursed? How is VentureForGood (Youth) different from VentureForGood? Who are VentureForGood (Youth) Partners? VentureForGood (Youth) is open to youths aged 18 – 35 years. VentureForGood (Youth) is open to all new and existing locally based social enterprises that are registered/ intend to register under the Companies Act or Co-operative Societies Act. For applicants who have not incorporated their business at point of application and are in the process of prototyping, a partnership with a relevant Voluntary Welfare Organisation (VWO) and/or validations with intended beneficiary groups should be illustrated. However, we will require the business to be incorporated prior to the first tranche of disbursement. What is VentureForGood (Youth)’s grant quantum? Who do we consider as beneficiaries? What do we look for in applications? entureForGood (Youth) was set up to provide funding support to youths under 35 in developing and implementing their social enterprise ventures. The fund is administered through our VentureForGood (Youth) Partners who will assess the eligibility of the proposal and help applicants strengthen and ready the proposal for final approval. VentureForGood provides funding support of up to $300,000 for seed grants, targeted at new or existing social enterprises addressing a social gap or need. Grant calls for VentureForGood are held twice a year and applicants may apply to raiSE directly when the call is open. For enquiries related to VentureForGood (Youth), please email vfg@raise.sg. Interested to apply for the VentureForGood (Youth) Grant? Contact us to submit your completed VentureForGood (Youth) application or if you have any queries.